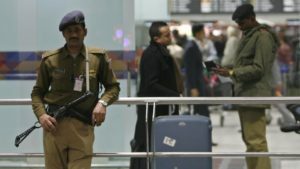 On Sunday, a CISF Jawan Manoj Kumar returned an unattended bag that he found at the Indira Gandhi International Airport, officials say that the bag had Rs. 1 lakh in it and other valuable belongings. The Jawan returned the bag to its owner who mistakenly forgot his bag on the roller. CISF Jawan Manoj Kumar informed his senior about the bag that he found lying on the output roller of the X-BIS machine at the metro station of the international airport. The bag underwent a security check to assure it did not contain anything dangerous, after determining that it had nothing dangerous, the bag was opened and Rs. 1.07 lakh, an iPhone, and other documents were seen. The bag also had a name tag of its owner and his contact details, the owner of the bag was identified as 58-year-old Mukesh Jain. The police reached out to Mukesh who did confirm that he owns the bag, he said that he forgot it on the output roller. 58-year-old Mukesh Jain returned to the airport and the bag was returned to him. Mukesh thanked CISF Jawan Manoj Kumar for his honesty.